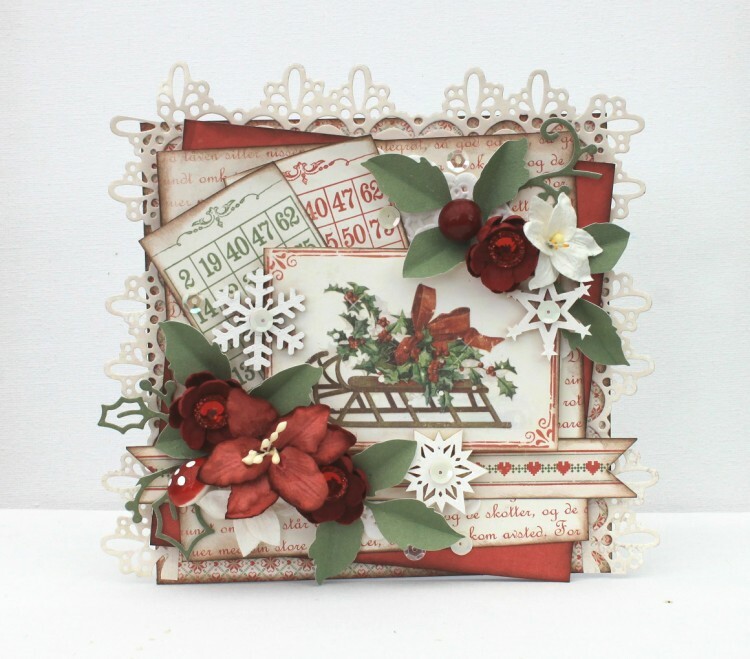 Today I´m showing you a card made with the new collection Christmas in Norway. I just love the colors and all the sweet images. I love the new papers, Christmas in Norway, especially since my Grandparents came from Norway.